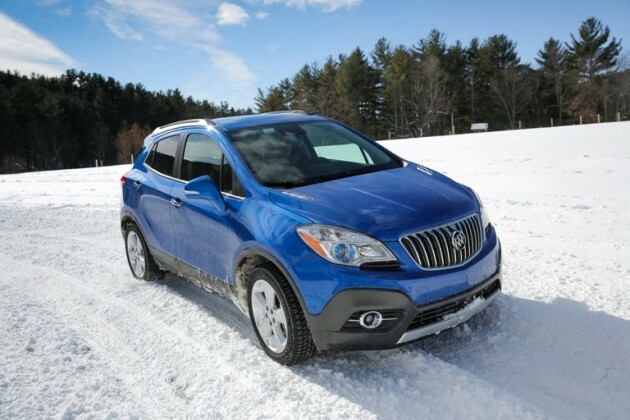 The 2015 Buick Encore remains the best-selling small crossover in the United States. Given how competitive the segment is, that’s a real testament to how much people love Buick’s little utility vehicle. The Encore maintained its title with an extremely strong showing in February, logging 4,921 sales and increasing 59.9% year-over-year. The rest of the Buick lineup? Eh, not so much this time out. Buick sales were down 9.2% in February, marking the second month of down figures for the brand in 2015. As was the case in January, the Encore is the lone vehicle to have made sales gains in the New Year. The other four vehicles in the Buick lineup were down considerably in February, and all are now down double-digits year-over-year through two months. The LaCrosse was down 9% with sales totaling 3,751 units, the Enclave was down 31.9% with 3,620 units sold, Verano was down 23.1% with 3,437 units sold, and the Regal was down 23.2% with 1,689 units sold. To date, the Encore is fixing to have yet another monster year, up 54% thus far with 8,386 units sold. Sales of the rest of Buick’s lineup will likely pick up once the thaw begins in March, so the current 2,500 model deficit between February 2014 and 2015 is still easily negotiable.